The Amici Trust is proud to present The Phantom of the Opera which returns to Auckland in February and March 2016. This New Zealand adaptation of Andrew Lloyd Webber’s Phantom of the Opera will come to life on the stage of Auckland’s iconic Civic Theatre from 11 February 2016. 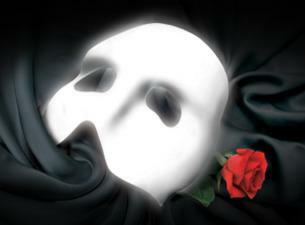 The Phantom of the Opera is based on the novel by Gaston Leroux . Far beneath the majesty and splendour of the Paris Opera House, hides the Phantom in a shadowy existence. Shamed by his physical appearance and feared by all, the love he holds for his beautiful protegée Christine Daàe is so strong that even her heart can’t resist. The musical opened at Her Majesty’s Theatre on 9 October 1986 with Michael Crawford and Sarah Brightman in the leading roles, and there have been dozens of productions worldwide since then. Now in its 29th record breaking year, The Phantom of the Opera continues to captivate audiences in theatres around the world. Now it is New Zealand’s turn to once again witness the spell binding magic of this spectacular musical. Andrew Lloyd Webber’s mesmerizing score including well known songs Music of the Night, All I Ask Of You, Masquerade and of course The Phantom of the Opera along with all new scenery and costumes designed in New Zealand will magically combine to bring this tragic love story to life each night.